AT TREE OF LIFE STAIRS, OUR PRIMARY GOAL IS TO EXCEED EVERY CUSTOMER'S EXPECTATIONS WITH OUR ATTENTION TO DETAIL, SUPERIOR CRAFTSMANSHIP, AND PROFESSIONALISM. We pride ourselves on our ability to amaze each of our clients. 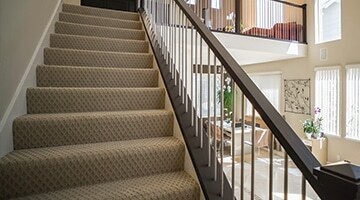 You will be thrilled with the finished product that you receive but what truly sets Tree of Life Stairs apart from other stair companies is our commitment to giving back to our community. Tree of Life Stairs gives a percentage of all money earned to go towards helping non profit organizations in our community and around the world. This part of our mission is why Tree of Life Stairs is named as it is. We want to be able to support those that are in need, to give life to our community, and ultimately to the rest of the world. 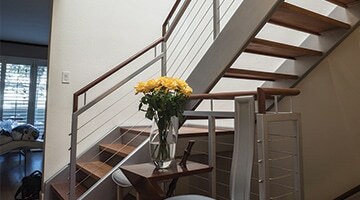 You will feel good about making the decision to choose Tree of Life Stairs to do your staircase, knowing that you will get an staircase at a competitive price, and be helping those in need at the same time. Below is a list of organizations that Tree of Life Stairs has had the privilege of donating to. Also, if there is an organization that does something that touches your heart and you would like the proceeds of your job to go to that organization, just let me know. Living Water International is a faith-based non-profit organization and our goal is to bring clean water to the rural poor. Of course, we want to do it right; being sustainable, building ownership, and building a healthier community among those who receive the water. Our approach builds all of these ideas into our program. We have water-development programs in over 20 countries. In addition, we provide effective, short-term mission trips where volunteers can get hands-on action for drilling wells, repairing hand pumps, and teaching hygiene training. You can find out more information through our web site. Our web site is bursting with good information and powerful videos. Compassion International exists as a Christian child advocacy ministry that releases children from spiritual, economic, social and physical poverty and enables them to become responsible, fulfilled Christian adults. Founded by the Rev. Everett Swanson in 1952, Compassion began providing Korean War orphans with food, shelter, education and health care, as well as Christian training. Today, Compassion helps more than 1.2 million children in 26 countries. Union Rescue Mission (URM) is a 501(c)(3) nonprofit organization dedicated to serving men, women and children experiencing homelessness. Established in 1891, URM is one of the largest rescue missions of its kind in the United States and the oldest in Los Angeles. The Vision of ZOE International Ministries is to fulfill God's dream that every person on earth will know Him and experience abundant Life through Jesus Christ' and that in lands where Christ is unknown; His love will be felt, His Kingdom will reign, His Church will flourish, His disciples will multiply, and He will be glorified for who He is. Tree of Life Stairs Serving Denver, Wheat Ridge, Commerce City, Lakewood, Englewood, Sherrelwood, Welby, Arvada, Westminster, Federal Heights, Aurora, Greenwood Village, Littleton, Thornton, Applewood, Northglenn. © TREE OF LIFE STAIRCASE. ALL RIGHTS RESERVED. Please fill out my online form along with a general description of what you would like to have done. Be sure to include pictures or architectural drawings of what you currently have, along with any pictures of staircases that you like.